Mrs. Claus is always happy to hear some holiday wishes from hopeful kiddos (photo by Jennifer Hackett U’Ren). buildings, tugged behind eager children anxious for the next activity. 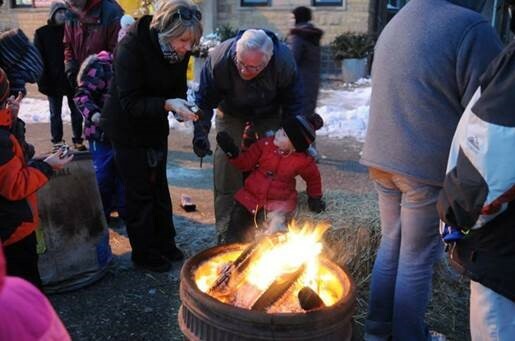 It’s ‘time for the Holidaze’, Willmar’s annual kick-off to the holiday season. The event begins at 4:00 p.m. as the sun begins to set. The streetlights flicker on, one by one, illuminating the sidewalks under their warm light. Wrapped around poles and tree branches, string lights bring the downtown area to life , creating an atmosphere of wonder and festivity. 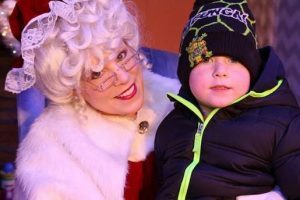 The Barn Theatre opens its doors to children trembling with delight, preparing themselves for their chance to tell Santa what they’re hoping to find in their stockings this year. Santa welcomes each and every child with a jolly laugh and smile, listening attentively as they whisper which baby doll, Star Wars figure, or scooter they’ve been begging their parents about for the past month. Holidaze visitors warm their hands over small fires, only taking off their gloves and mittens to create a mouthwatering s’more (photo by Dennis Benson). the machines pumping air into the bounce houses and other inflatables). Children squeal as they ricochet off the padded walls of the trampoline bounce house, free from the weight of winter coats and hats and mittens they arrived in. Visitors gaze at the penguin exhibit, taking in the hardy birds that survive conditions far colder than Minnesota winters. A few blocks over the Willmar Public Library hosts creative kiddos for some arts and crafts, all themed around the coming holiday season. And Bethel Lutheran Church welcomes everyone into their historic building for a chili feed, offered as a free will donation so that everyone is able to come and enjoy a hearty meal together. At 5:00 p.m. community drum circles begin to make some noise at the library, creating a beat that seeps out the library front doors and into the street. People take up a few rounds of turkey bowling in front of Foxhole Brewhouse, adding laughter and a few yells to the thrumming beat of the drum circles down the way. 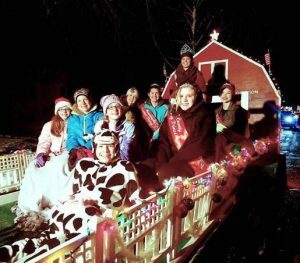 The Kandiyohi Dairy Princesses are all bundled up in anticipation of the parade, where they’ll wave to parade-goers and enjoy the creative light displays on other floats. glow across the faces of the numerous spectators. Santa makes another appearance on the parade route, chuckling and tossing out a few “Ho ho ho’s!” to spread some holiday cheer. 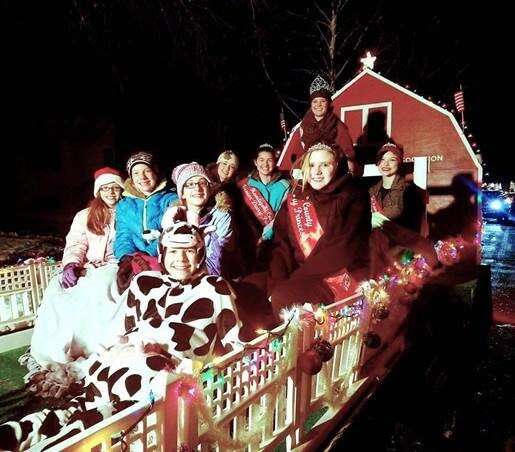 Following the parade, the Barn Theatre hosts a free holiday movie for everyone to enjoy. This year they’ll be showing “The Santa Clause,” a holiday favorite. Willmar’s annual Holidaze event is always a time where the community comes together, gathering to celebrate the coming holiday season. With plenty of things to do, it’s an opportunity to get out of the house and enjoy a night on the town. And with so many unique things to do and see—reindeer sleigh rides and penguins and turkey bowling—it’s something fun that the whole family can enjoy.